Five continents one ball: the sixth edition of the Football for Friendship program, implemented by Gazprom, this year got bigger. 12-year-old boys and girls, came to Moscow from 211 countries. Young international players were the ambassadors of football promoting values such as friendship, equality and peace. Thirty-two international Teams of Friendship, named after rare and endangered species, met at the Sapsan Arena Stadium in Moscow. They proved that different cultures, languages and traditions are not an obstacle to fair play and that friendship can overcome borders. The players traditionally exchange blue and green Bracelets of Friendship, the blue symbolizes the peaceful sky and green – the football field. The matches took place a day before the World Cup kicked off, and all the participants got tickets for the game between Russia and Saudi Arabia. Swan Dram, from France, said: "It’s a great honour to be able to play here at the World Cup in Russia. Because this really is a once-in-a-lifetime opportunity. I am lucky. I can’t find the words. It’s just wonderful." Wadia Chery, from Haiti, said: Girls and boys play together, equality – is one of the most important values this program promotes. Fourteen-year-old Bogdan Batalin was the youngest referee on the Football for Friendship field. He came all the way from Irkutsk in Siberia to get closer to his lifetime dream. Bogdan Batalin, a referee, said: "Football allows you to be friends because players on the field are connected by equality. This is a great experience because I want to be a referee. Here I can exchange experiences with other referees and see how footballers from other countries play." This time luck in the final smiled on the Chimpanzee team. Jeronimo Rodriquez Uruena from Colombia was one of the best players, scoring numerous goals to put his team on top of the podium. 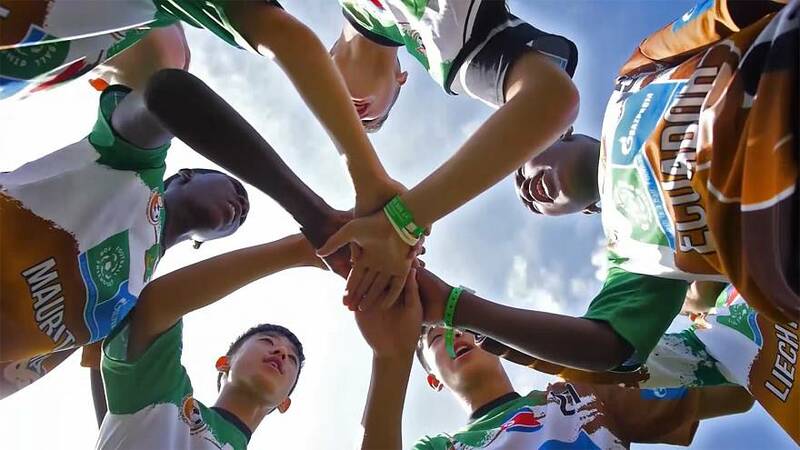 In five years, the number of participating countries in Football for Friendship has grown tremendously and it has more than 3 million supporters. The most prolific goalscorer in the history of Russian football (233 goals) Aleksandr Kerzhakov explained the secret of his success. Kerzhakov, a Zenit St Petersburg striker, said: “Football for friendship” stretches to more countries and more continents, every year, thanks to those boys and girls themselves, and to the message that they bring back home where they are trying to change the world for the better." Jeronimo from Colombia and Gameron from Dominica swore to stay friends forever as all others who found new friends while kicking the ball.